Biography Karen grew up in a Jewish family in Detroit, USA. Whilst developing her musical career in New York City she became convinced that Jesus was the Jewish Messiah. She has since written and sung from this religious conviction. Karen and her husband David Davis, moved to Israel from New York in 1989, USA and founded the Kehilat HaCarmel congregation in 1991. The Davis's are also founders of Beit Nitzachon (House of Victory) in Haifa, Israel, a residential center for rehabilitation and reconciliation between Jews and Arabs. Karen grew up in a Jewish family in Detroit, USA. Whilst developing her musical career in New York City she became convinced that Jesus was the Jewish Messiah. She has since written and sung from this religious conviction. Karen and her husband David Davis, moved to Israel from New York in 1989, USA and founded the Kehilat HaCarmel congregation in 1991. The Davis's are also founders of Beit Nitzachon (House of Victory) in Haifa, Israel, a residential center for rehabilitation and reconciliation between Jews and Arabs. 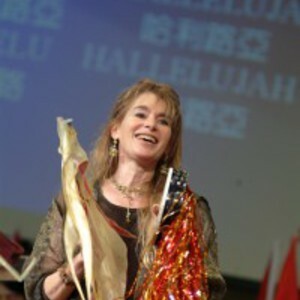 Karen also performed as a featured soloist & artist on the albums from Israel, Adonai and Elohim.